The vessel appears to be in good condition throughout. Per the Seller: a long list of mechanical and cosmetic improvements have been tackled during his ownership. There are still a few items needing attention per owner- fridge, water heater, gas gauge and wine cooler are not currently working. The generator is due for maintenance. Stock #165088 Installed a nice water resistant teak look vinyl flooring! All cushions couch/pullout bed reupholstered AND MORE! 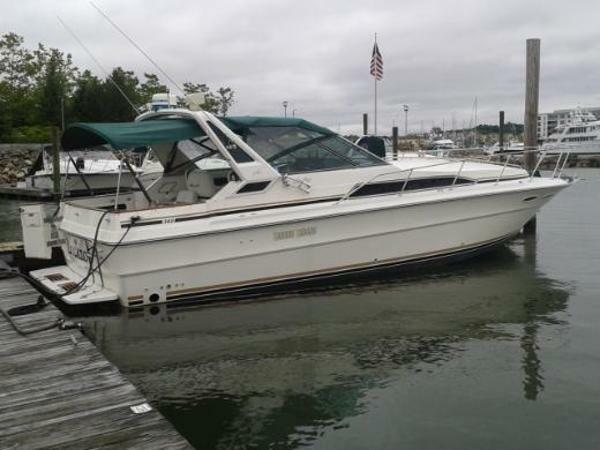 If you are in the market for an aft cabin, look no further than this 1989 Sea Ray 38AC, just reduced to $25,995 (offers encouraged). 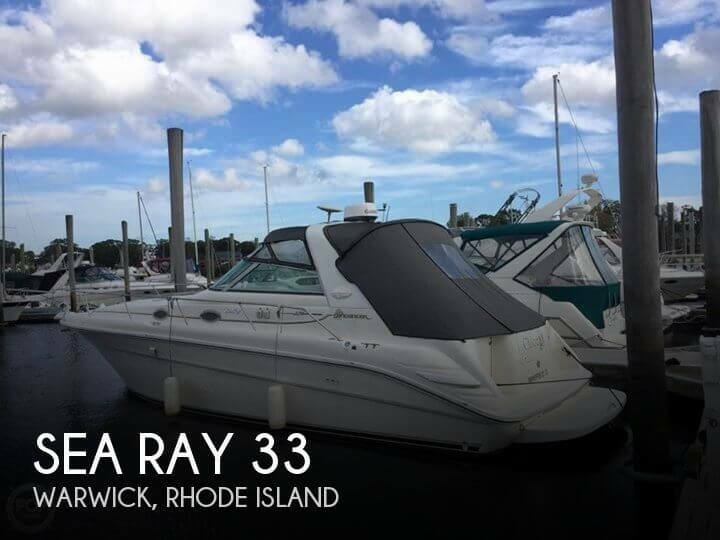 This vessel is located in Warwick, Rhode Island and is in decent condition. She is also equipped with twin Mercruiser engines. Reason for selling is changing interests. 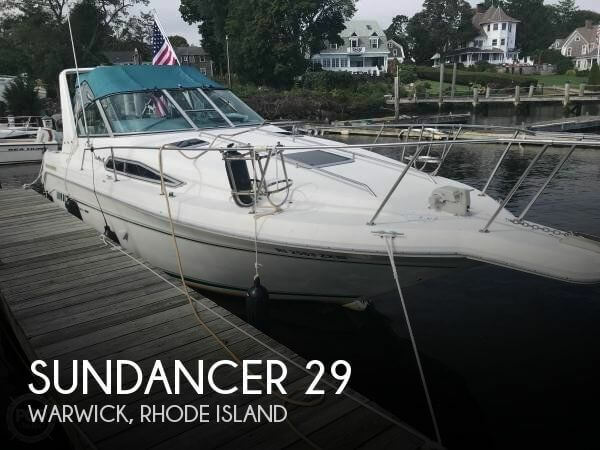 Seller has incorporated many upgrades including new carpeting throughout ($1800), rebuilt starboard motor ($12,000) this past season, new hot water tank, new vinyl seating including passenger seat ($2000), new refrigerator, new bilge blowers, gel coat redone 3 years ago, 3 new batteries, new microwave. New galley seats & 52 gallon water tank (2018) Stock #145574 GPS, fish finder and depth finder! 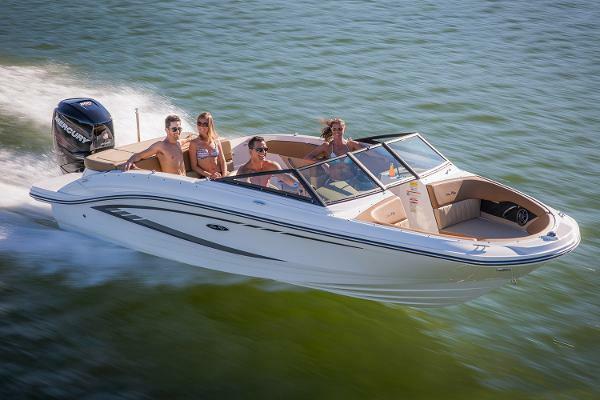 This boat comes with all safety equipment, has heat and Air Condition, central vacuum and MUCH MORE INCLUDED!!!! 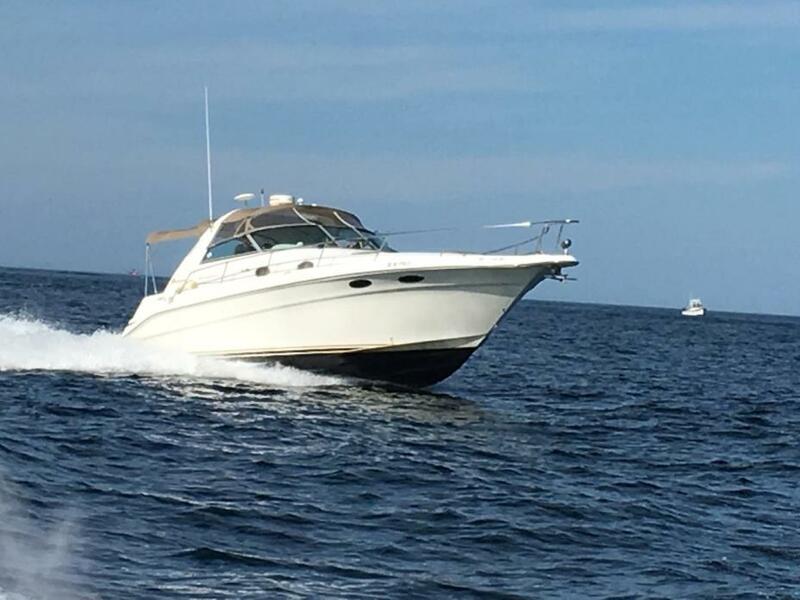 If you are in the market for an express cruiser, look no further than this 1988 Sea Ray 340 Express Cruiser, priced right at $38,900 (offers encouraged). 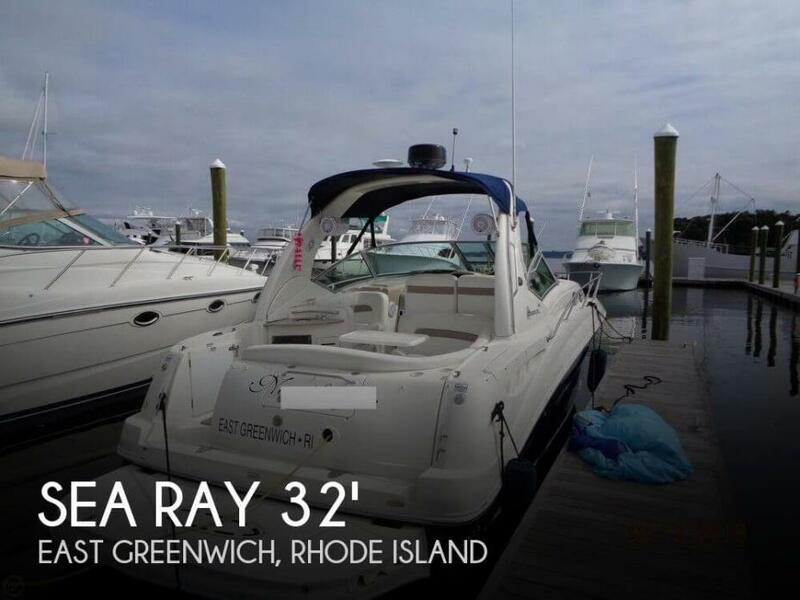 This vessel is located in Warwick, Rhode Island and is in good condition. She is also equipped with twin Crusader engines that have 1,100 hours. Reason for selling is moving to a larger boat. This Dancer is in good overall condition. Both Mercruiser engines were replaced NEW in 2016. They are under warranty (transferable) until Spring 2017 (Stbd), Summer 2017 (Port). Risers and manifolds were also replaced. The Gel-coat is intact, the hull has no damage and the bottom paint is still good. The Radar powers on but doesn't function well, everything is there, probably just needs repair or upgrade. Tach sync works, but a couple gauges don't function correctly. Seller believes just a loose or disconnected cable. Some of the cushions have minor tears, but are very functional. The cabin is clean and odor free, very good. This vessel has been professionally maintained by a reputable marina in the East Bay area.. Stock #099554 ** INFLATABLE, 5HP O/B, SLIP (9/15) INCLUDED ** *** NEW (in 2016) POWER BOTH SIDES *** RISERS and MANIFOLDS TWO YEARS AGO *** If you are in the market for an express cruiser, look no further than this 2002 Sea Ray 300 Sundancer, just reduced to $44,900 (offers encouraged). 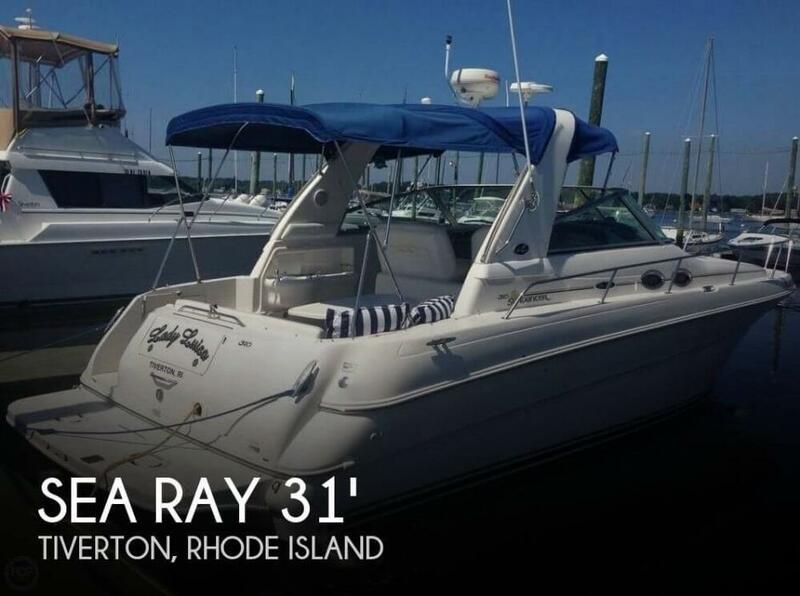 This vessel is located in Warren, Rhode Island and is in good condition. She is also equipped with twin Mercruiser engines that have only 25 hours. Reason for selling is little time. Overall condition of this vessel is better than expected for its vintage. Boat presents very well with all surfaces and material appearing clean and dry. All systems are reported to work correctly and all maintenance is up to date. Stock #163232 Very Clean 1995 Sea Ray 330 Sundancer All Freshwater Use Until 2016 If you are in the market for an express cruiser, look no further than this 1995 Sea Ray 330 Sundancer, priced right at $44,500 (offers encouraged). 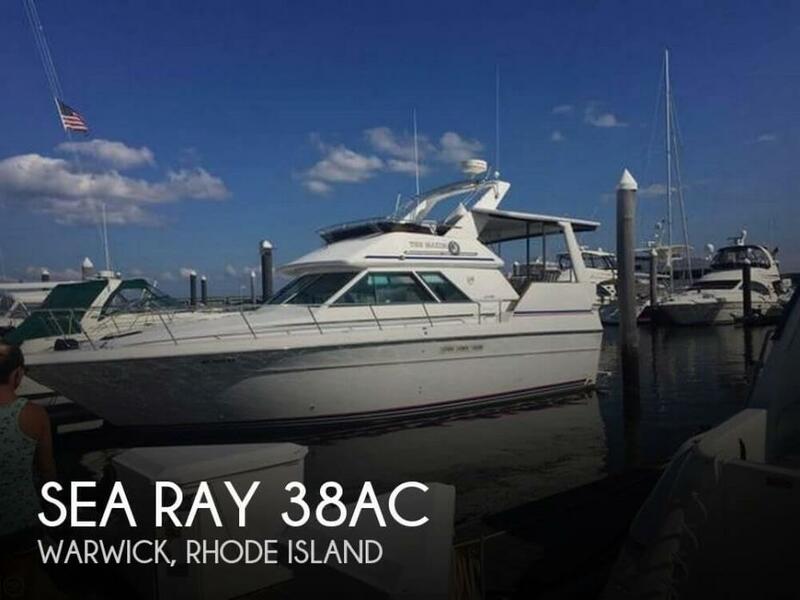 This vessel is located in Warwick, Rhode Island and is in great condition. She is also equipped with twin Mercruiser engines. Reason for selling is retiring from boating. *** CONDITION UPDATE *** CONDITION UPDATE *** Seller has had his mechanic go thru the port engine and it is solid, as is the new in 2012 starboard side. Both carbs will need rebuilding. Fuel lines will need replacing. Fuel will need to be removed. ****** SELLER DROPPING PRICE BECAUSE OF THESE ITEMS AND SELLING AS IS, WHERE IS ****** The starboard 454 engine was new in 2012, only a couple hours (for testing) on her as she sits in storage. The extensive seating is in fair to good condition and there are no smells, mold or mildew anywhere. No Leaks She has been professionally maintained, winterized and wrapped (also covered by the boat stall seen in pictures). Jessica may have a few years on her, but she's young looking for her age. 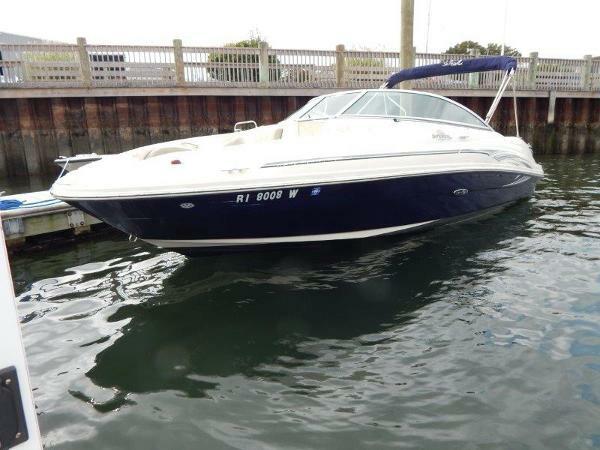 ALL OFFERS CONSIDERED Stock #029762 SELLER MOTIVATED - BRING ALL OFFERS - STARBOARD REBUILD If you are in the market for an express cruiser, look no further than this 1987 Sea Ray 390, just reduced to $20,000 (offers encouraged). 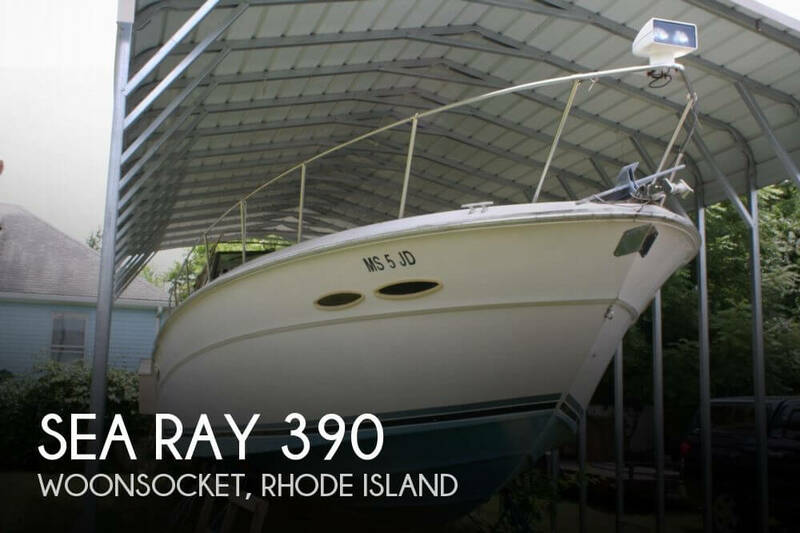 This vessel is located in Woonsocket, Rhode Island and is in good condition. She is also equipped with twin Mercruiser engines that have 670 hours. Reason for selling is little time. 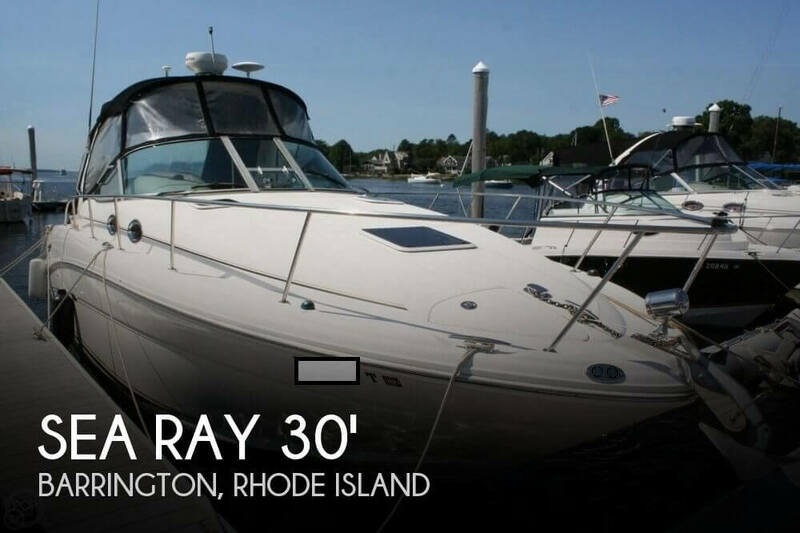 2007 Sea Ray Sundancer 28' Foot (31' LOA - 9' 5" Beam) 2007 Sea Ray Sundancer! A must see! Approx. 475 hrs. 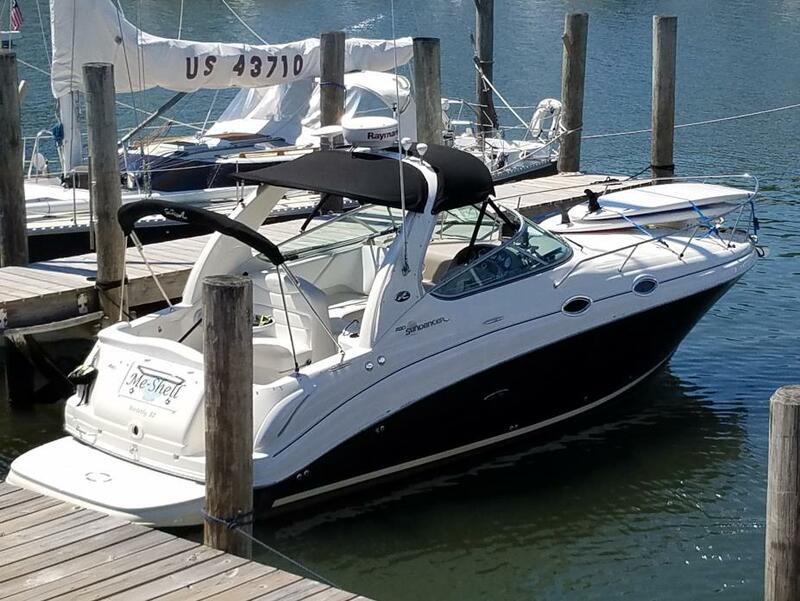 Twin 5.0 MPI Mercruisers (260 hp), fresh water cooled engines, Bravo III Outdrives, new this year-cockpit eising, camper canvass, windless anchor with foot controls, remote spotlight, Raymarine E80 24 mile radar w/gps overlay, Northstar NS100 VHF radio, Smartcraft Diagnostics, transom hot/cold washdown, exterior wet bar with sink, cable tv-dvd w/inverter, microwave, electric/alcohol stove, Vacuflush head, AC/HEAT. 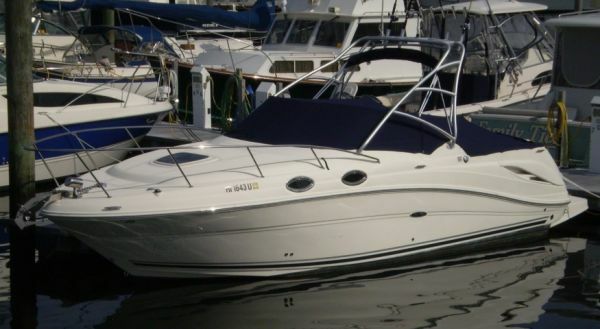 2005 Sea Ray 220 Sun Deck A great family day boat for swimming, tubing, skiing, fishing or just entertaining. This one has seen extremely good care and has less than 200 hours on the 260 hp Mercruiser outdrive. Swim ladders and showers forward and aft, enclosed head, tables fore and aft, these boats are flexible. 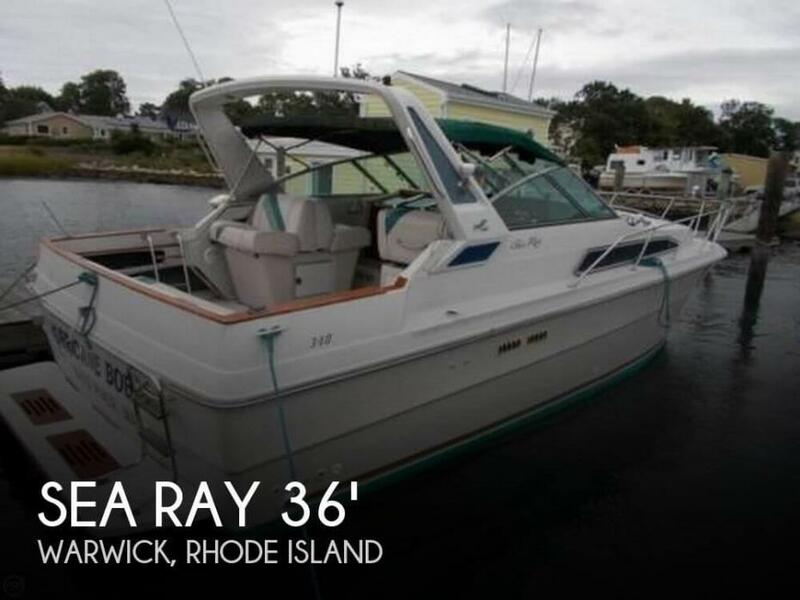 Seriously for sale here in Sales Tax free RI, call to see her today! 1989 Sea Ray Express Cruiser This Extremely clean model has new engines, transmissions and complete running gear with 48 hours, AC/heat, generator and more. She is very clean and seriously for sale. 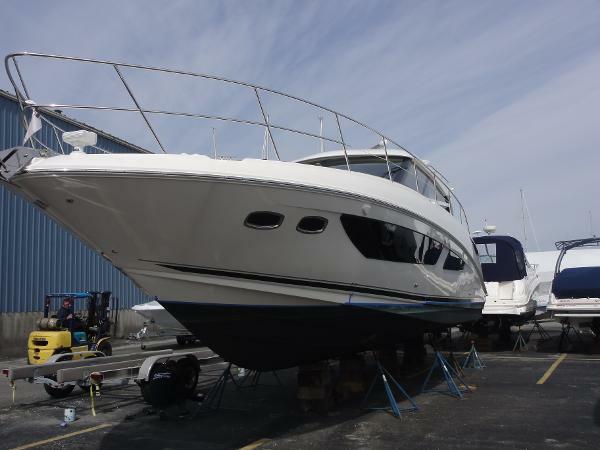 The current owner looked for a long time to find a boat in this condition, recent health issues bring this one to market. Call to see her today.